Ngāti Kahungunu is the largest iwi (tribe) in Hawke’s Bay. 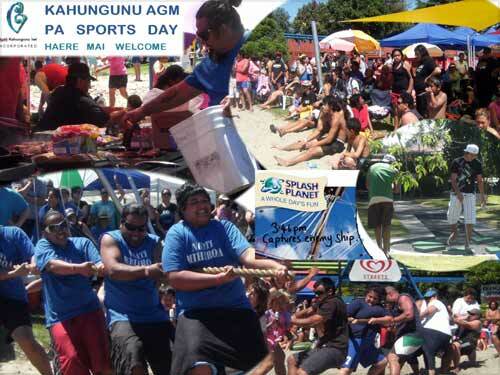 This photograph shows a series of images from the Ngāti Kahungunu iwi authority’s annual general meeting, which is held at Splash Planet in Hastings. The meeting is a chance for iwi members to discuss important issues and socialise with one another.